The RFP (Request for Proposal) signals opportunity for a creative firm! They’ve made it to your list of qualified firms. You’ll have multiple options from which to choose, pouring over creative samples and price ranges. Sounds like a win-win for both parties? For every creative firm that sees opportunity, another sees a cost to avoid. For every client that sees opportunity, another sees it as an onerous task that derails their real work, and is confused about the process. This week ends National Farmers Market Week. Even with access to one of the consistently rated-top farmers markets in the country—Portland Farmers Market— I’m still surprised there is such a week. In spite of the gloomy picture of the health of the average American and the crushing power of the industrial food complex, we have something to celebrate. There are now about 6100 markets across the country, a 16 percent increase over last year. Go here to find a farmers market near you. 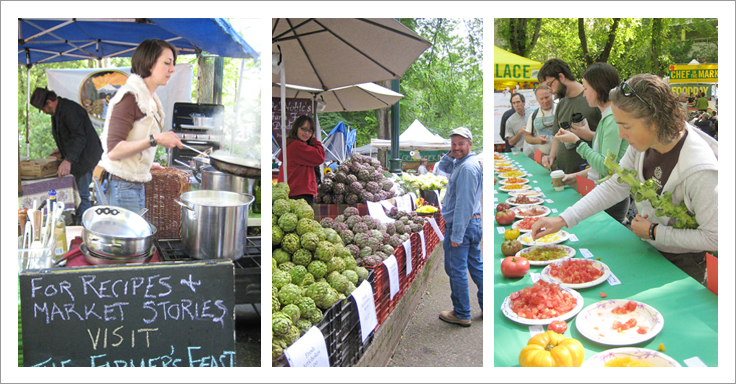 Following is a tribute to the impact of farmer’s markets, with a focus on the Portland Farmer’s Market and highlighting one of their sustainability efforts. Their clearly defined mission and success at executing goals is an inspiration for any business or nonprofit.